In your School Management page within the 'Contacts' tab, find the student whom you wish to add a contact to and click 'add contact'. 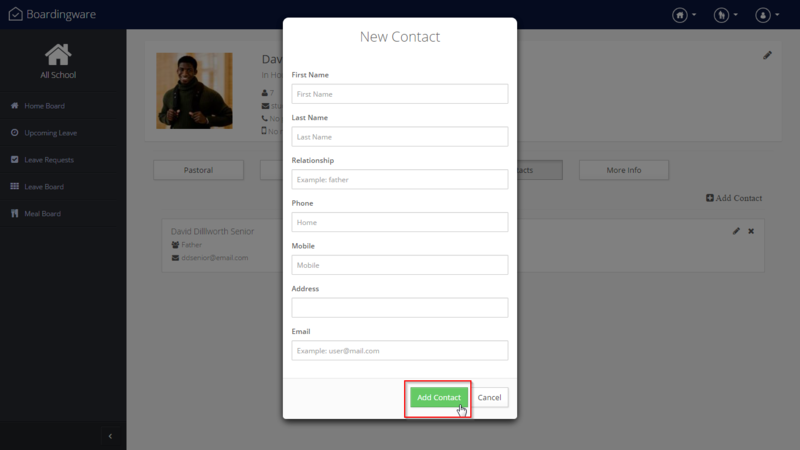 You will now have an extra contact in that student's profile. To expand the contacts information click on the name of the contact.